Former President John Dramani Mahama's attempt to once again run down the Free Senior High School (SHS) policy being implemented by the New Patriotic Party (NPP) government has been exposed. He said at Somanya in the Eastern Region last Saturday that the Akufo-Addo-led government is struggling to meet its statutory payment obligations and other financial commitments and claimed that it was due to the implementation of the Free SHS policy which commenced in September last year. 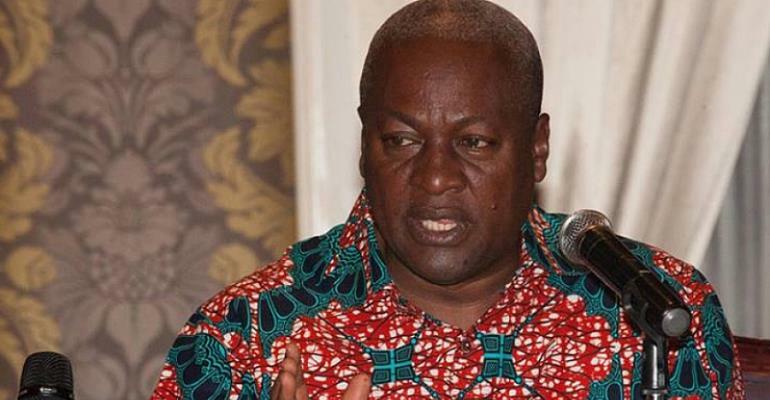 Mr Mahama specifically told National Democratic Congress (NDC) supporters after the party's 'unity walk,' The problem this government is facing, and it is in their own interest, is that Free Senior High School is absorbing all the fiscal space they have and so almost every money you have, you are having to put it into Free Senior High School. However, a status report generated by the Ghana Integrated Financial Management Information System (GIFMIS) as at Tuesday, 20th February on Statutory Funds appears to rubbish the former president's claims that the government is struggling to meet its financial obligations on payment to statutory institutions. The end of year (2017) payments structure showed that the three critical areas namely, DACF, NHIL and GETFund as mentioned by the former president, do not appear to have statutory arrears as payments are made on time ever since the NPP government took over from him and his NDC administration. A source said that regarding the DACF, the total amount of GH¢1,001,331,630.18 required by the assemblies was paid in 2017, while the GH¢1,115,375,298.57 for the NHIS was also honoured in the same year. The NPP government's obligation to GETFund, which was GH¢557,683,442.28, was also honoured in 2017. According to the source, Mr Mahama appears still bitter about the implementation of the Free SHS by his political opponent – President Akufo-Addo – and stated, “Almost all statutory institutions were starved of funds during his tenure,” (referring to Mahama's administration). Mr Mahama is once again, displaying his abhorrence for the free SHS policy, which many experts have said is serving as a catalyst for development. He told the NDC supporters that the policy is being implemented in “ad hoc manner,” and claimed the Akufo-Addo NPP government did not have any guidelines for the implementation of the policy. “For a programme that is so fundamental, you have no guidelines (and) you are just implementing it in an ad hoc manner…when we say this you say we are naysayers..,” he told the crowd. Education Minister Says 'No TIN, No Free SHS' Report "False"